Heart shaped box has one main compartment. 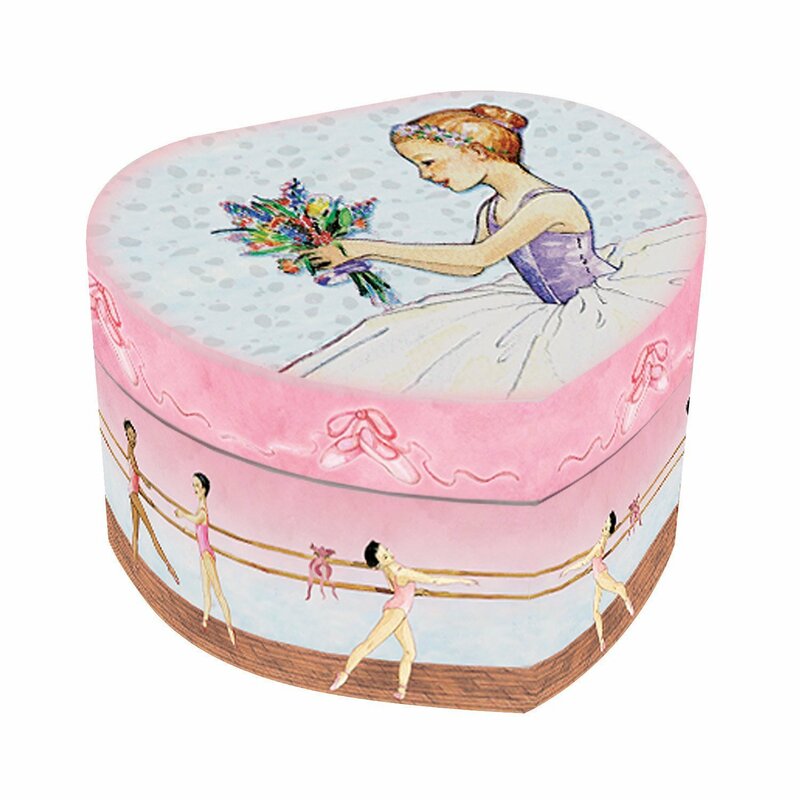 Music box plays "Swan Lake" with a twilling ballerina figure. Box is 5.25"L x 5.5W x 3.25"H .
A special box for tiny treasures.